When it comes to healthy eating most kids (and adults) are not meeting their daily vegetable intake. Vegetables are full of vitamins, minerals, antioxidants, and fibre. As dietitian’s we recommend consuming more vegetables on daily basis in comparison any of the other food groups. Most babies are curious enough to try new foods but when it comes to the picky eating toddler years, vegetables can be a hard sell. 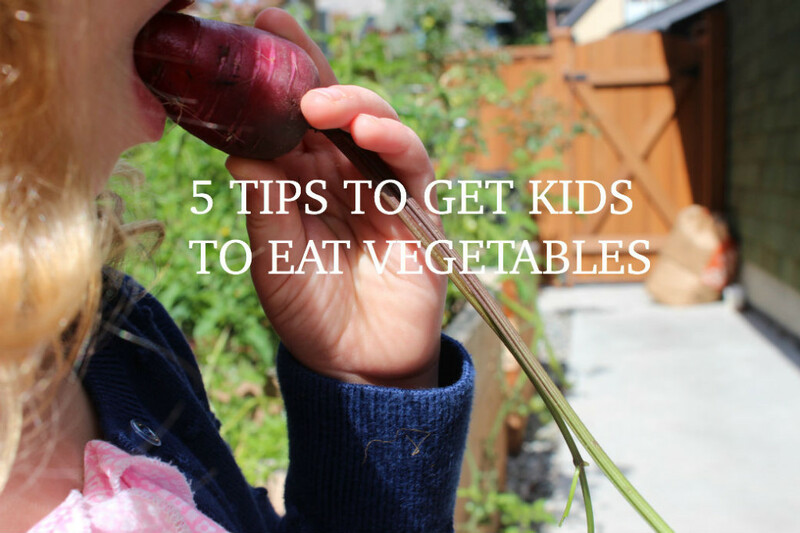 Here are 5 tips to get your kids to eat more vegetables. To help your child meet their vegetable intake serve a variety of vegetables at both lunch and dinner. Remember as the parent it’s your role to decide what is being served. Don’t get stressed out if the vegetables come back in the lunch box untouched. Research suggests it can take up to 20 times before your child will try a new food. Continue to provide your kids with a wide variety of different textures and colours of vegetables on a daily basis. I got this idea from real mom nutrition. During our summer vacation I felt my daughter’s vegetable intake was significantly lower instead of fretting about it I decided to take action. Before dinner was ready I would put together a vegetable and dip platter and within ten minutes the kids ate the whole platter. We usually dip our vegetables in hummus but ranch is a favorite amongst kids. I found this ranch dressing from foodiecrush. Knowledge is power. 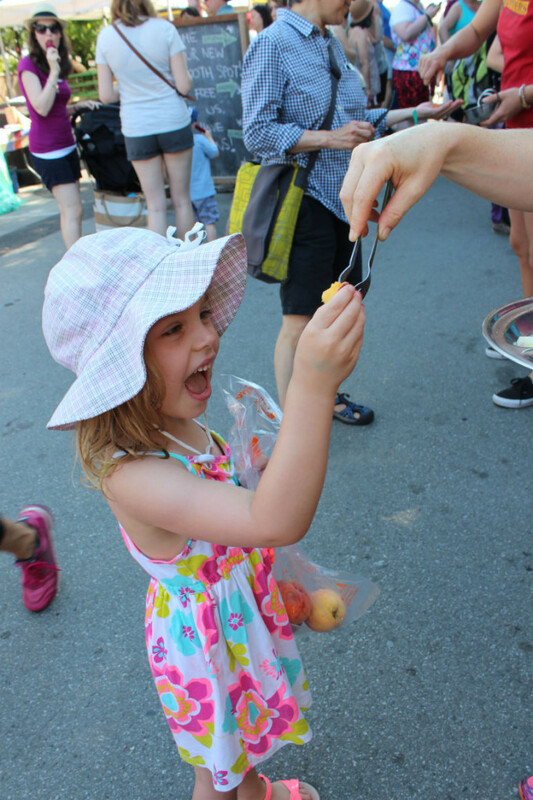 The farmer’s market is a great place for your kids to learn where their food comes from, meet the farmer, and try new foods. Encourage your kids to pick out a new food and ask the farmer about their farming practices. Take your kids to the market early to beat the crowds. 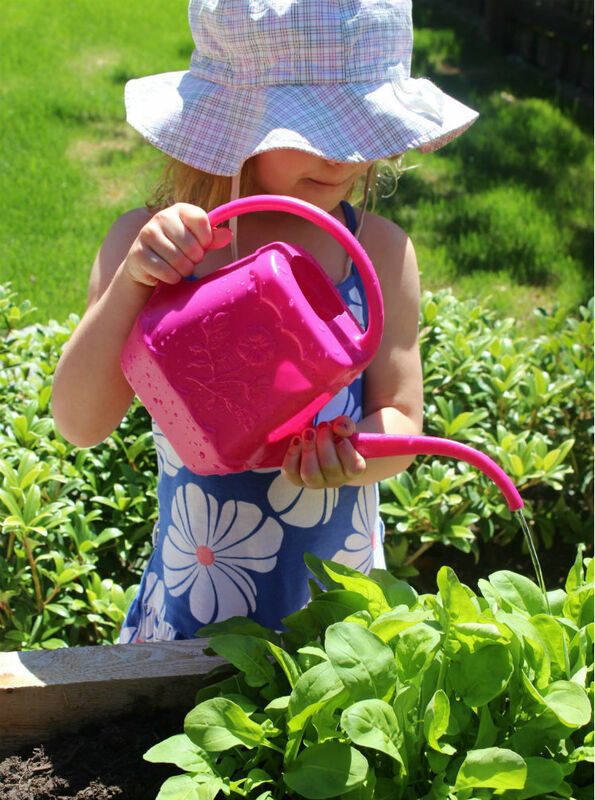 Involving your kids in their food such as planting a garden can help increase their curiosity and acceptance for vegetables. Let your child pick out their own vegetables, take care of them, and eat them. Miss E and I planted our own vegetable garden this spring, I will never forget the excitement when her carrots started to grow. Nothing tastes better than fresh grown vegetables right out of your garden. Parents play an important role in shaping their child’s eating habits. Be a good role model and eat plenty of fresh, seasonal vegetables. Let your kids eat a variety of fresh, seasonal, vegetables at lunch and dinner. A great way to show kids how delicious vegetables can be is to eat a salad at dinner such as this roasted beet quinoa salad. What tips do you use to get your kids to eat more vegetables?